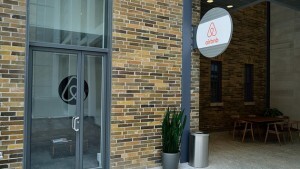 Airbnb’s proliferation across Caribbean vacation destinations has led the region’s primary tourism group, the Caribbean Tourism Organization (CTO), to forge an agreement with the home-stay provider to jointly develop “a set of policy principles and recommendations on the sharing economy for Caribbean governments and other stakeholders” announced Hugh Riley, CTO’s secretary general. Caribbean government officials and other stakeholders will, in turn, “learn about the long-term benefits of the sharing economy and home sharing in particular,” said Riley. The agreement will also lead to new avenues through which Caribbean destinations can address new vacation markets. Airbnb has 41,000 listings in Caribbean destinations said Sullivan. A typical Caribbean host earns approximately $3,900 per year through Airbnb. The CTO pact follows similar recent agreements between Airbnb and Aruba, Curacao and Jamaica. Hoteliers contend Airbnb’s proliferation in the Caribbean and significantly impacted their business in 2016, when Caribbean resort profitability declined despite increased occupancy.